At Release physical therapy, our clinicians are trained to determine which specific techniques will be most effective for individual patients and injuries. 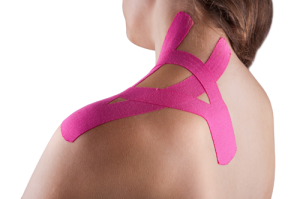 In some cases, Kinesio Taping will be used in conjunction with many other therapies to treat a condition. Consistent with Release Physical Therapy’s commitment to individualized care, patients are assessed through a series of orthopedic tests such as manual muscle testing, range of motion testing, and gait assessment to determine if Kinesio Taping therapy is appropriate. Set up an appointment to learn more. What is Kinesio Taping Method? Kinesio Taping Method (KTM) is a therapeutic taping technique that offers patients and athletes the support they need to get through their daily activity or sports event, while helping to rehabilitate conditions and injuries. KTM involves the application of a special nonrestrictive tape over muscles to reduce pain and inflammation, relax overused or tired muscles and support muscles in movement. It has been proven to have positive physiological effects on the skin, lymphatic and circulatory system, fascia, muscles, ligaments, tendons, and joints. Is Kinesio Taping just for athletes? 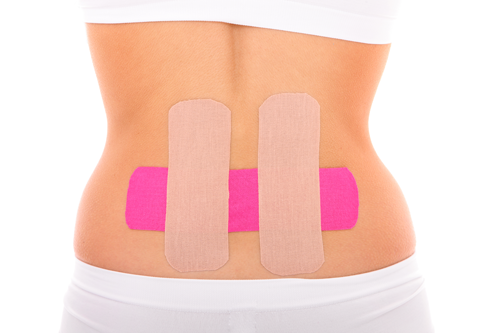 How is kinesiology tape different from standard athletic tape?